Writer and researcher Colin Todhunter responds to Dr. Anthony Trewavas below. The following is in response to an open letter published on the AgBioWorld Facebook page by Professor Tony Trewavas of Edinburgh University. He wrote it after reading my article “So You Want to Help Africa Mr Paterson? 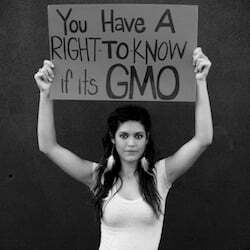 Then Stop Promoting Ideology and Falsehoods to Push GMOs” published by Global Research. Professor Trewavas is a prominent supporter of GMOs in Britain. His original letter is provided in full below Colin Todhunter’s response. You say I should buy a farm and exert my choice to farm as I wish. Talk about exercising such a choice to the people in South America who Helena Paul wrote about (described in my piece). They are being driven out as agribusiness and the planting of GMOs (mainly for export) takes hold. She describes this as ecocide and genocide. Tell it to the peasant farmers who are being forced from their lands by speculators and corporations as described by reports by GRAIN and the Oakland Institute last year. These are the people who feed 80 percent of the “developing world”, without GM technology, yet are being squeezed out. Where is choice and democracy? Certain words are used cheaply by some. I find it strange that supporters of GMOs talk so much about choice when the GMO biotech industry has spent £100 million in the US to deny choice by preventing labelling of GM food. Your view of science is either deliberately misleading or simply naïve. And for someone in your position, I find it difficult to believe it could be the latter. From acquiring funding and formulating the questions to be addressed, to conducting research, interpreting findings and peer review, politics are present in science throughout. The manufacture of scientific knowledge involves a process driven by various sociological, methodological and epistemological conflicts and compromises, both inside the laboratory and beyond. Writers in the field of the sociology of science have written much on this. I refer you to the following link, which contests your lofty view of science and scientists: Monsanto wants to know why people doubt science. There is an authoritarian, political agenda behind the GMO project – not set by some environmental group (as you say) that you like to use as a whipping boy – but by the agribusiness concerns behind GMOs and petro-chemical industrial agriculture. Focusing on Greenpeace with its supposed agenda serves as a convenient diversion. When peer-reviewed science is provided by critics to support their claims, the onslaught by the GMO agritech industry and its mouthpieces against those who legitimately and scientifically contest the claims about the efficacy of GMOs is relentless. Just ask Arpad Pusztai, P. M. Bhargava, Judy Carman, Terje Traavik, Andrés Carrasco, Ignacio Chapela, Allison Snow, Marc Lappé, Britt Bailey, Bela Darvas, and G. E. Seralini. But let’s get one thing clear, as Druker shows, GMOs were placed on the commercial market due to political arm twisting and official bodies in the US ignoring science that pointed out the dangers of this technology. The decision to commercialise GMOs was not based on scientific evidence; in fact, it ignored such evidence. Yet you are still placing the onus on scientists to prove that GMOs are safe – and when they show they are not, they are attacked. It seems science is only called on when it suits. Why do you persist in attacking those who clearly do have compassion? Environmental groups have not engaged in decades of massive criminality, in decades of cover ups and serious environmental pollution. You would do better by focussing on one particular leading company whose record clearly shows that it has no regard whatsoever for humanity, yet which claims it wants to ‘feed the word’ with altruistic intent. Your response is full of warm sounding notions about democracy and choice and some high-minded words about science and scientists (of course, only the science that fits your paradigm). Rhetoric, platitudes and clichés do not constitute a considered response. Projecting the pro-GMO lobby’s deficiencies onto its critics is not valid. It’s disappointing from a scientist.